It’s a great welcome gift, a must for a birthday party, a perfect Valentine gift and a beautiful farewell gift as well. This cake was a farewell gift for an elderly couple (not that elderly, but still older than us :) ). It’s another thing that a bunch of us went in for the farewell and there was hardly any cake left for them by the time all of us left. Let’s just say that the gesture matters more than the cake and I am sure that the couple will agree with me there :-). 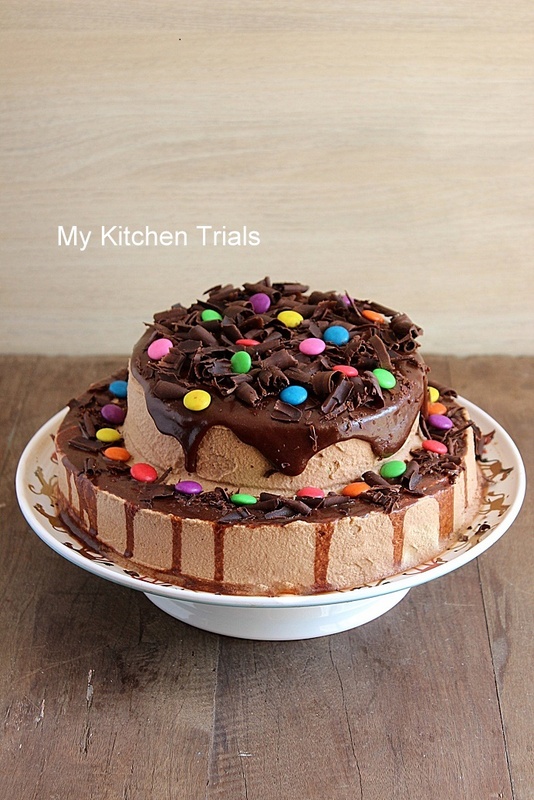 So the next time you want to express something to someone, bake a cake! 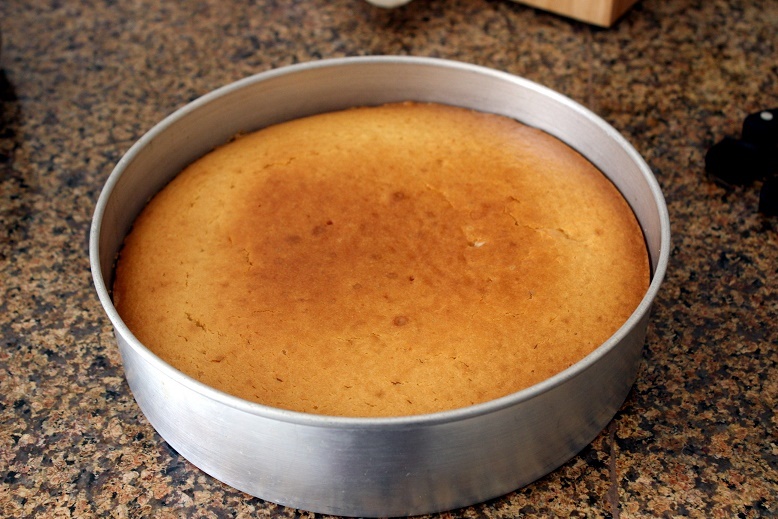 And if it’s going to be an eggless vanilla cake, you are absolutely on the right place! 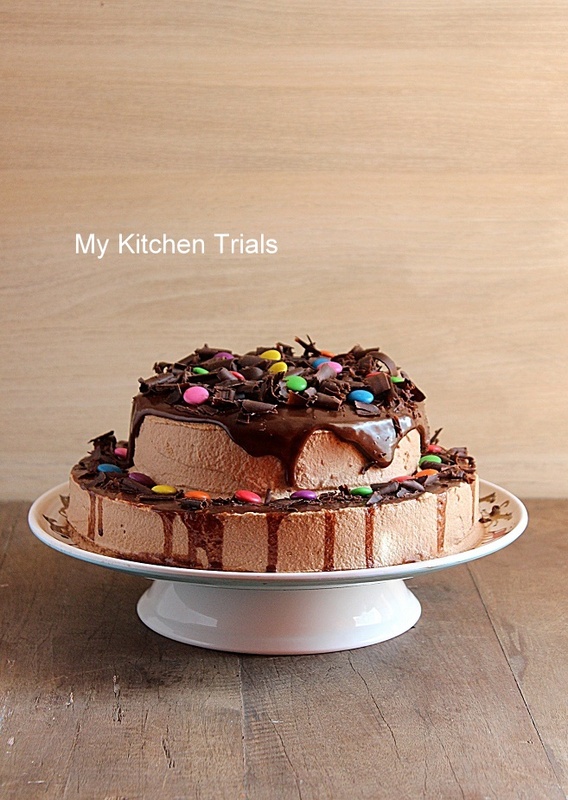 Scroll down for the recipe and the step by step pictures. I wanted a big cake, so I doubled the recipe and made a 9″ and a 6″ cake. Get all the stuff for the cake together. Heat the oven to 180C/350F. Grease and line an 8″ pan and keep aside. Sieve the flour two times. Keep aside. 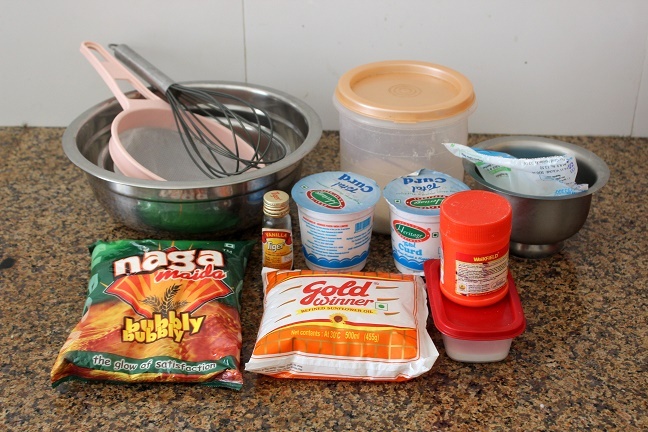 In another mixing bowl, add the yogurt, sugar and whisk until the sugar has melted completely. 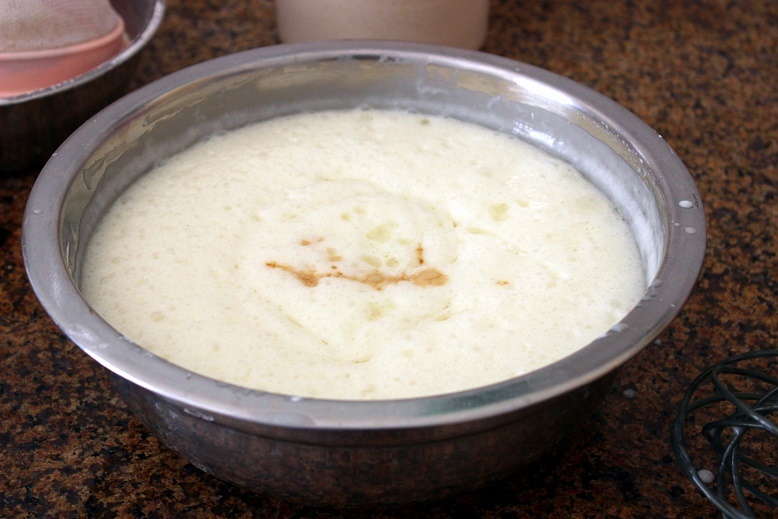 If you are using home-made yogurt, make sure that it is not sour. If it is sour, the taste will be prominent in the final cake as well. Once the sugar is dissolved, add the baking powder and baking soda. Mix well and set aside for 5 minutes. The mixture will foam and you will be able to see bubbles on top. 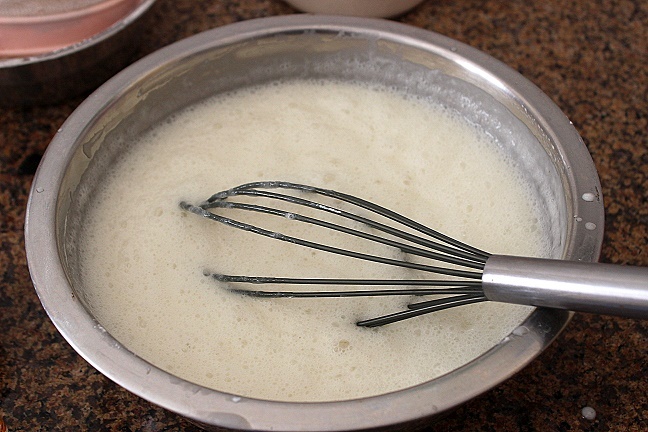 Add the vanilla essence and oil, whisk again until blended well. 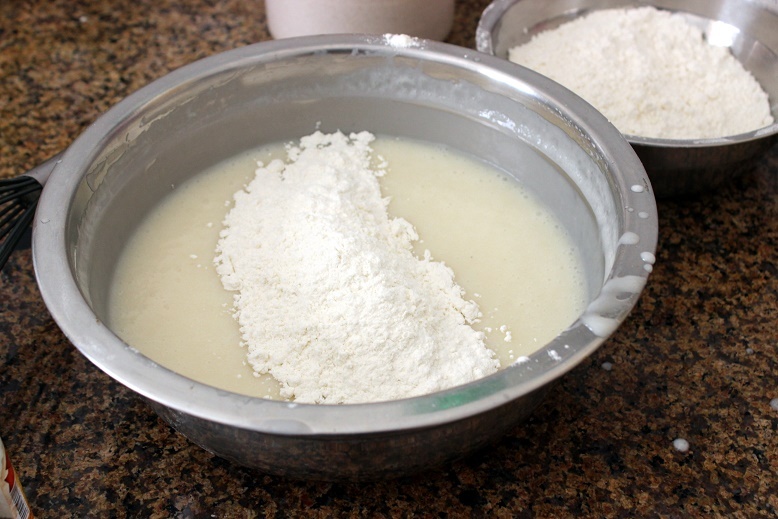 Now add the flour in 3 or 4 batches, mixing well after each time. 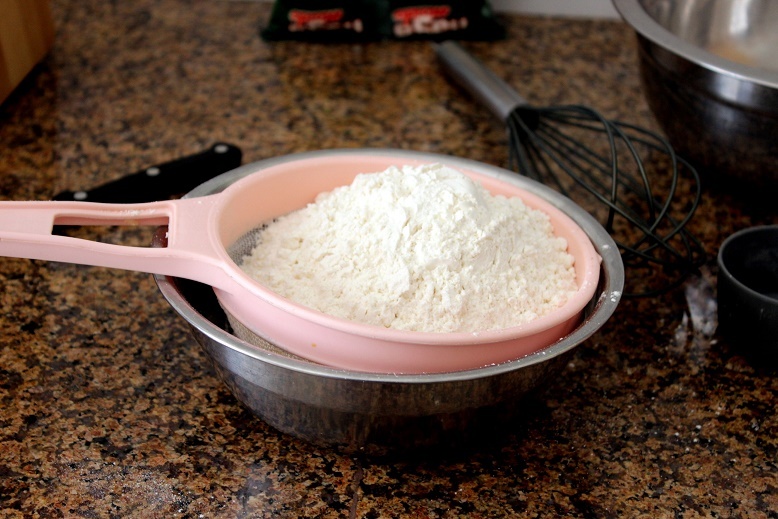 Once all the flour is used up, give a good stir to ensure that no dry lumps remain. Transfer the batter into the greased tin. 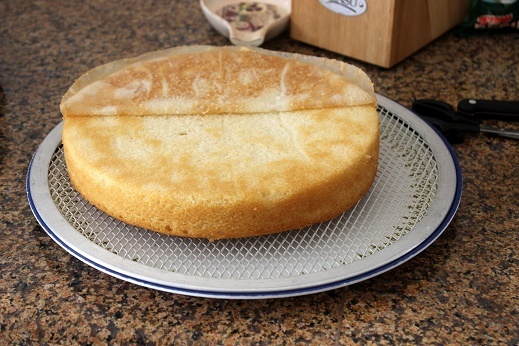 Bake for 35-40 minutes or until a skewer comes free of crumbs when inserted in the middle of the cake. Baking time differ from oven to oven, so start checking when it’s about 30 minutes itself. Let it rest in the pan for about 10 minutes. 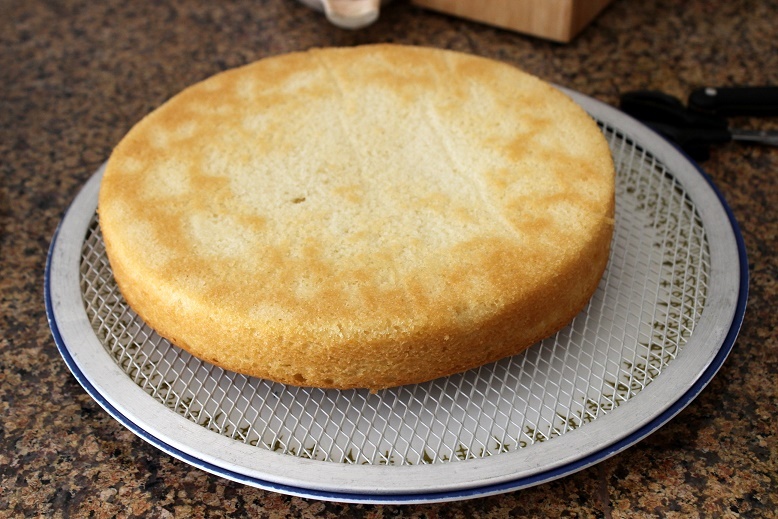 Invert the cake into a wire rack and peel off the butter paper. Let the cake cool completely and then proceed with the frosting. I forgot to take pictures of each step. Will upload it if I do it again. The cream should be cold. 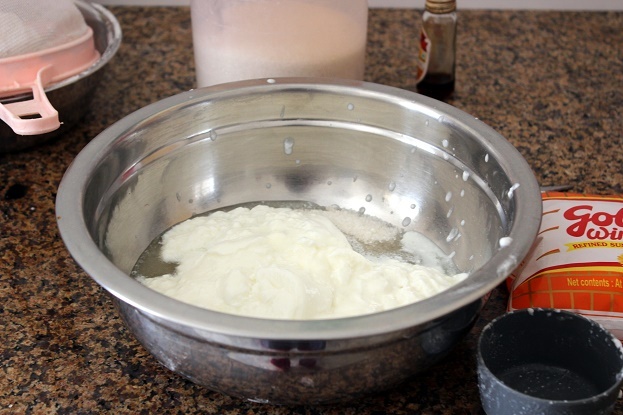 Keep the blades of the hand mixer or whisk and the bowl for whipping also in the fridge for at least 20-30 minutes. In the cooled bowl, add the vanilla essence, cocoa powder, instant coffee powder and sugar. Add about 2 tbsp of whipping cream. Make a thick paste so that there won’t be any lumps later in the frosting. 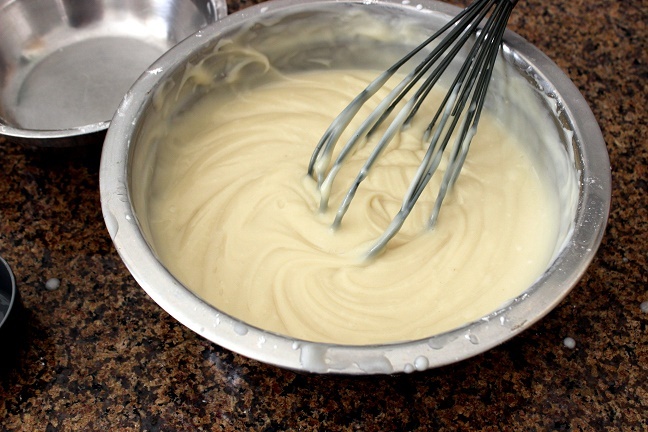 Add the rest of the cream and beat well using an electric mixer until stiff peaks form. Frost the two layers of the cake and stack the small one of top of the other one. After frosting both the cakes, stack the smaller one on top of the other. Let the glaze cool a little bit. 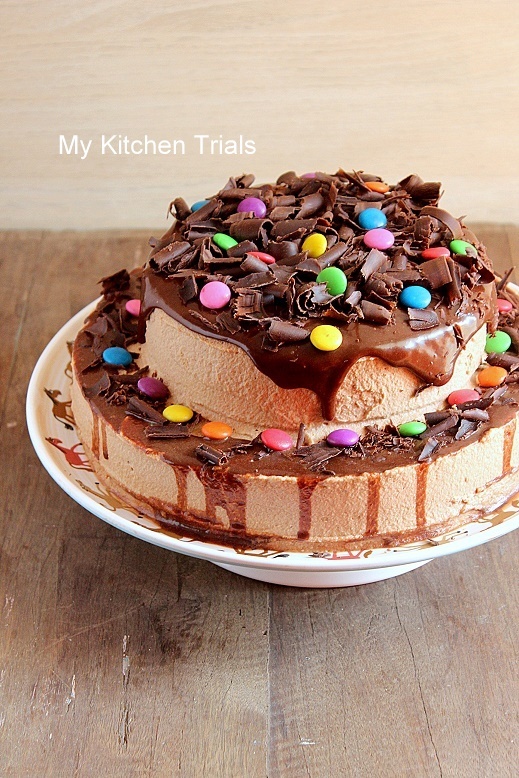 Spoon it on the top and bottom layer cakes and let it fall down on its own. For the chocolate curls, the chocolate slab should be at room temperature. 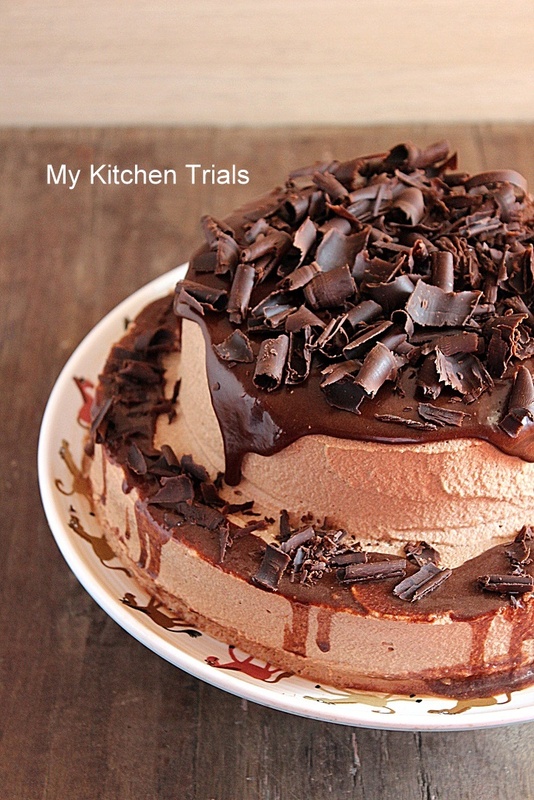 Using a vegetable peeler or a sharp knife, peel off the chocolate and you will get chocolate curls. Decorate as you like. I liked the chocolate look a lot, but then on a whim went on to add the gems candies (Indian version of M&M candies) on top and all over the bottom layer. I liked this look even better! The cake before adding the Gems, that looks good as well, right? Chocolate heaven!!! Looks super tempting. Yum yum..for a sec I thought if it was a mousse cake.I’m sure everyone must have enjoyed this chocolate-y delight!